Ex-England defender Tony Adams insists that the Three Lions failed to use Harry Kane correctly at the World Cup in Russia this summer. 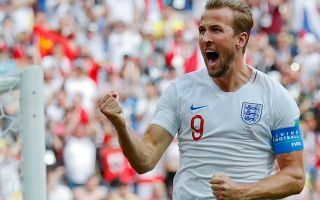 Kane captained his country during a superb run to the semi-finals of the most prestigious competition in football over the summer, whilst also managing to win the golden boot after scoring 6 goals for the team. However, the Tottenham striker’s impressive stats did not tell the full story, as three of his goals were scored via the penalty spot, one was the result of a lucky deflection and the other two were simple finishes from close range against a sub-standard Tunisia side. The real story of Kane’s tournament was one of frustration, after starting strongly he faded in games against better opposition and looked less menacing in front of goal the longer the tournament wore on. According to Football London, former Arsenal centre-back Tony Adams has revealed his thoughts on why the 25-year-old wasn’t as effective as he could have been, as he told reporters on Wednesday: “I think, certainly for England, he was coming deeper and deeper and playing more or less as a No 10. In the [World Cup] semi-final he missed a chance early on and I thought he got tired. Kane has been called up to Southgate’s latest squad for friendlies against Spain and Switzerland, with supporters hoping that he can rediscover his finishing touch to earn the team two credible victories against strong opposition, to continue England’s recent resurgence under their current manager.